Destined to be king among your living room furniture, the Rex Sleeper Sofa features a dramatic reverse camel back and thick rolled arms. 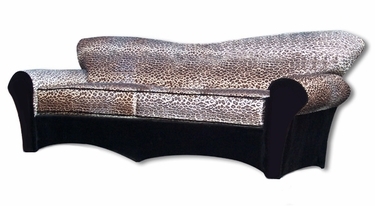 Rex�s unique curved sofa shape and fabric detail is full of royal flavor. Personalize this custom couch into your exact specifications with a multitude of fabric, detailing and dimension.